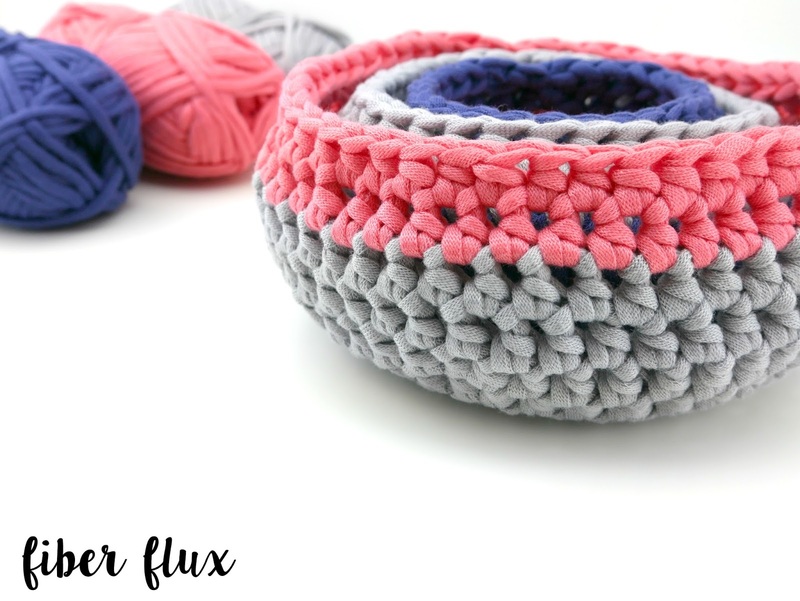 Fiber Flux: Free Crochet Pattern...Modern Nesting Baskets! Free Crochet Pattern...Modern Nesting Baskets! 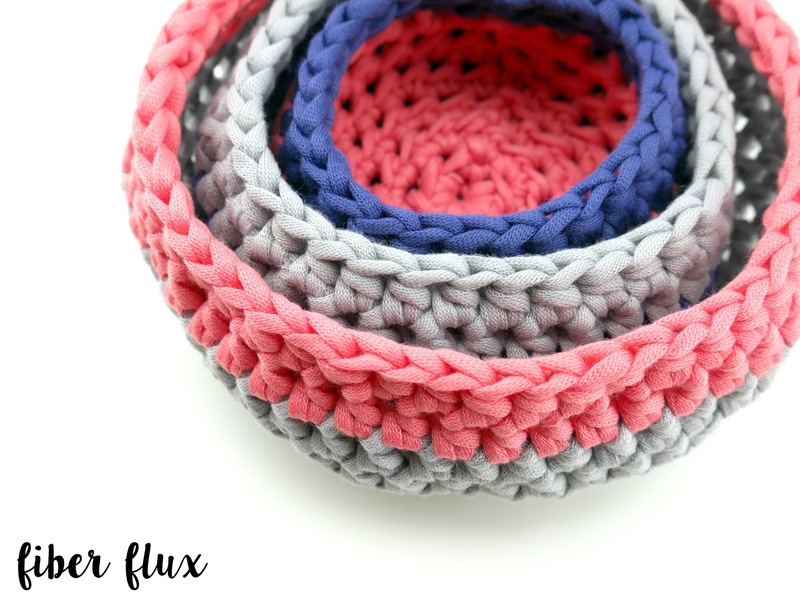 The Modern Nesting Baskets are fun, colorful, and super fun to make. 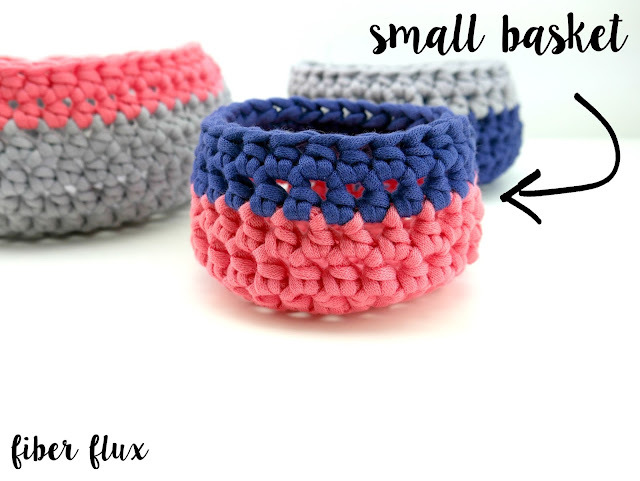 Clean lines and easy stitches are the perfect solution for organizing and all of the little things that seem to make their way everywhere (at least for me!) The basket set includes three sizes (small, medium, and large). Need a little help? There's a full video tutorial below for each basket too! 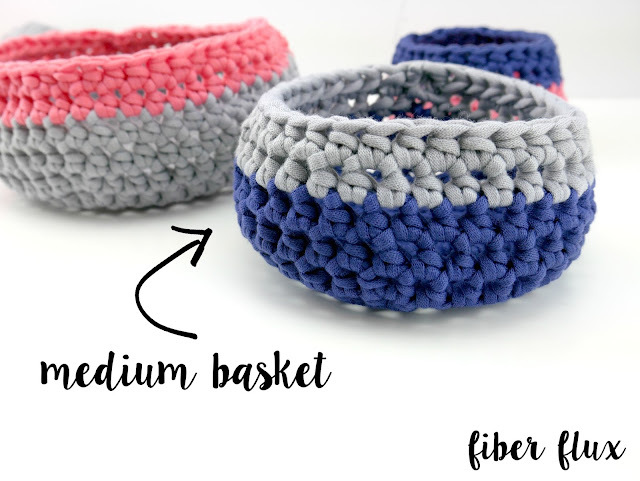 There is a full video tutorial for each basket (small, medium, and large). If making the full set, be sure to watch each video! 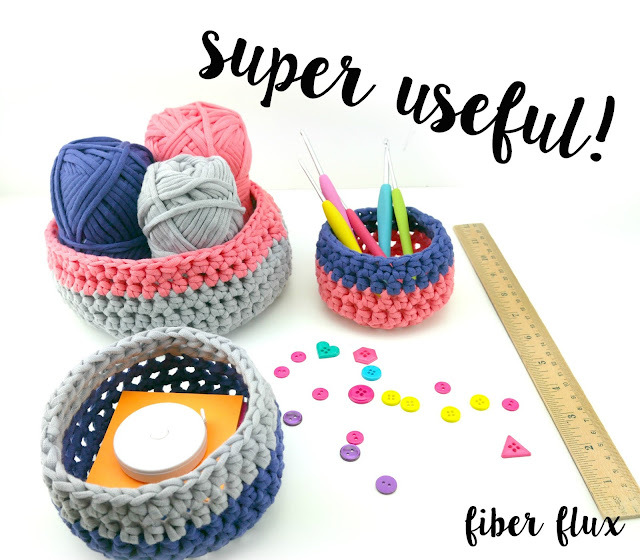 Click the yarn ball below to get yarn for this project! Ch 4, join with a sl st to create a ring. Round 1: Ch 2, then work 5 hdc in the center of the ring. Join with a sl st to close round. Round 2: Ch 2, then work a hdc in the first st. *Work 2 hdc in the next st. Repeat from * to end of round. Join with a sl st to close round. Round 3: Ch 2, then *work a hdc into the next st, then 2 hdc in the next st. Repeat from * to end of round. Join to close round with a sl st. Round 4: Ch 2 then *work a hdc into the next st, a hdc in the next st, then 2 hdc in the next st. Repeat from * to end of round. Join to close round with a sl st. Round 5: Ch 2 then work a hdc in each stitch to end of round. Join to close round with a sl st.
*Note: switch colors for the next round. Round 5: Ch 2 then *work a hdc into the next st, a hdc in the next st, a hdc in the next st, then 2 hdc in the next st. Repeat from * to end of round. Join to close round with a sl st. Round 6: Ch 2 then *work a hdc into the next st, a hdc in the next st, a hdc in the next st, hdc in the next st, then 2 hdc in the next st. Repeat from * to end of round. Join to close round with a sl st. Round 7 : Ch 2 then work a hdc in each stitch to end of round. Join to close round with a sl st. Round 10: Repeat round 7. Round 7: Ch 2 then *work a hdc into the next st, a hdc in the next st, a hdc in the next st, hdc in the next st, hdc in the next st, then 2 hdc in the next st. Repeat from * to end of round. Join to close round with a sl st. Round 8: Ch 2 then *work a hdc into the next st, a hdc in the next st, a hdc in the next st, hdc in the next st, hdc in the next st, then 2 hdc in the next st. Repeat from * to end of round. Join to close round with a sl st. Round 9: Ch 2 then work a hdc in each stitch to end of round. Join to close round with a sl st. Round 10: Repeat round 9. Finishing: Weave in any ends that remain and you're all done! Such a cute way to add functional style to your home! 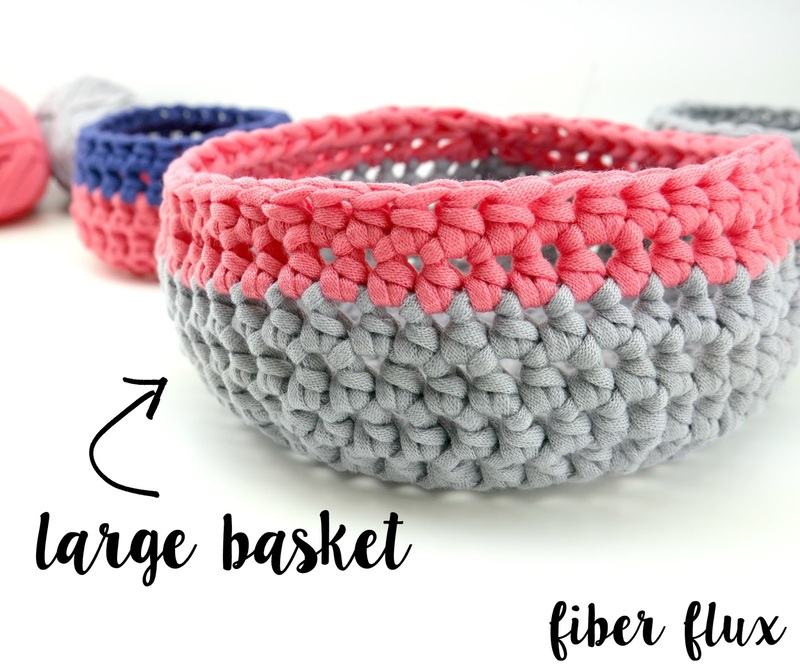 The nesting baskets will make great little gifts! 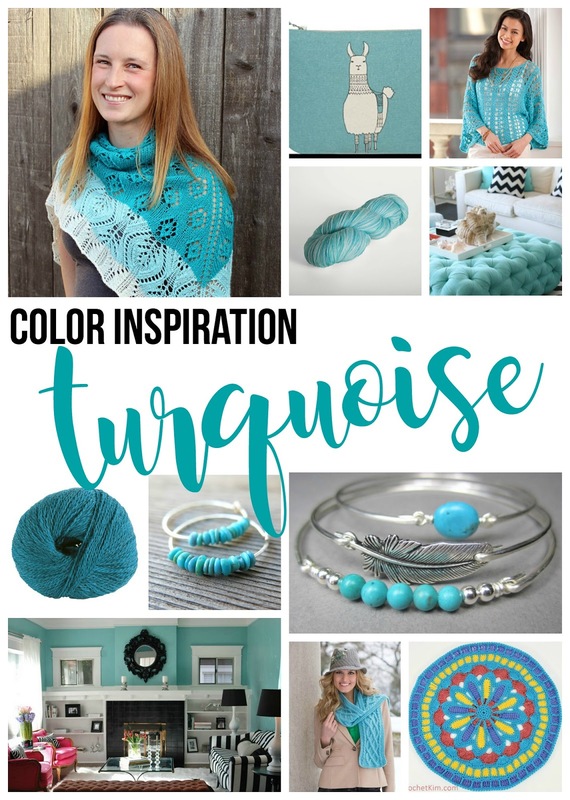 Thank you for all of your patterns and tutorials on YouTube! Can you tell me how many stitches you should have after each round? I want to be sure I am following what you have and not missing anything.